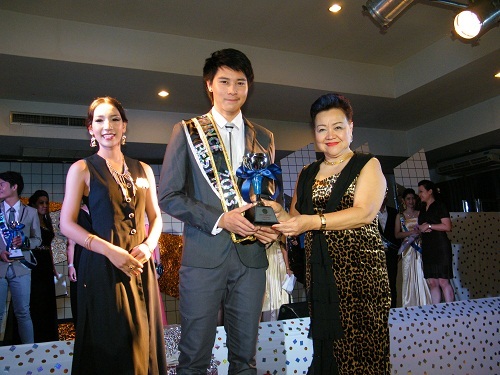 STIC Council Vice Chairperson Dr Theresa Virachanee Phromsunthorn, right, is seen presenting respectively the sash, winning cup and awards to the Prince and Princess 2013 winners during the final round of STIC contest held on August 23, 2103 at the STIC Auditorium. 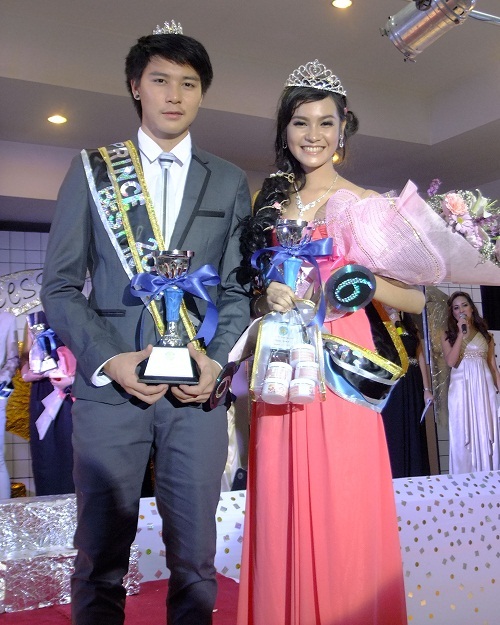 PRINCE 2013WINNER is Mr from Hotel & Logistics Department, and Princess 2013 WINNER is Miss from Hotel & Logistic Department. This program event is called FRESHY NIGHT 2013 where in freshmen students from different faculty show off their talents. One of the highlights of the event is the SEARCH FOR PRINCE & PRINCESS 2013. Prince & Princess event is not a mere beauty contest. It’s a promotional campaign for anti- drugs and smoking free STIC college. Therefore, it is held with the aim to develop social awareness among students though the pictures in which they have to interpret.